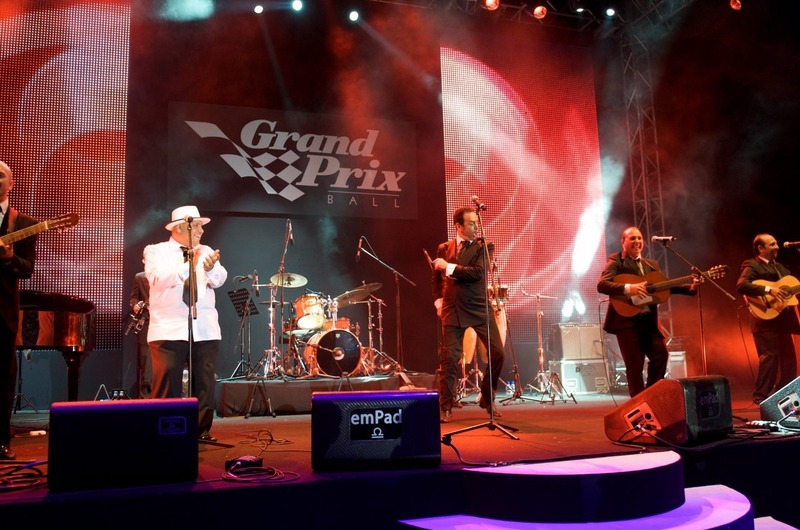 Why The Grand Prix Ball, London? Formula One is a global phenomenon, encapsulating the best German engineering, Italian passion, and French Champagne sprayed over the runners-up. But when F1 comes to Silverstone, the Brits add a dash of flair with glamorous summer evening balls in English stately mansions. Think one part Mario Andretti, one part Jane Austen. And this year, the Grand Prix Ball is back with a bang and bigger than ever before! From the moment you step inside London’s exclusive Hurlingham Club, you’ll be whisked into a world of glitz and glamour… at the Red Carpet champagne reception, you’ll mingle with motor-racing legends, celebrities, and models, whose tuxedos and dresses will mirror the sleek, aerodynamic curves of the Formula One cars on display. What Makes The GP Ball So Exclusive? Apart from the F1 cars, motor racing legends, supermodels and Hurlingham Club? Well, after being wined, dined and entertained with a charity auction in aid of The Prince’s Trust and sumptuous gourmet three course dinner, you’ll be in pole position to let your hair down as Eddie Jordan, his band and headline DJ’s help you dance the night away until the checkered flag finally halts the race in the early hours. VIP tickets and Early Bird Tickets are still available and the ‘Legends Table’ option means you’ll join a Formula 1 legend to be regaled with stories of yesteryear and mad-cap sporting myths, but be quick; tickets are selling faster than a Senna qualifying lap.